Stay up to date with all of the Ruff Sqwad Arts Foundation’s events and projects. Here is some of our latest news! Earlier this year the foundation had the privilege of having a mural on the world famous Shoreditch Art Wall. The Ruff Sqwad Arts Foundation returned with Grime Pays series 2 in July 2018 with 12 talented 16-20 year olds. Grime Pays artist Litty Lightz has gone from strength to strength under the mentorship of Ruff Sqwad Arts Foundation's Prince Rapid & Slix. In August 2017 visual artist Ultrafry and grime pioneer Prince Rapid, hosted a groundbreaking event called Turbo Technical. On Sunday the 18th of June Prince Rapid presented a once in a lifetime event at the world famous Jazz Cafe in Camden. Grime Pays aimed to give young people an insight and experience into the music industry. Ruff Sqwad Arts Foundation and artists Dash N’ Dem paid tribute to the cultural story of east London through Grime music. 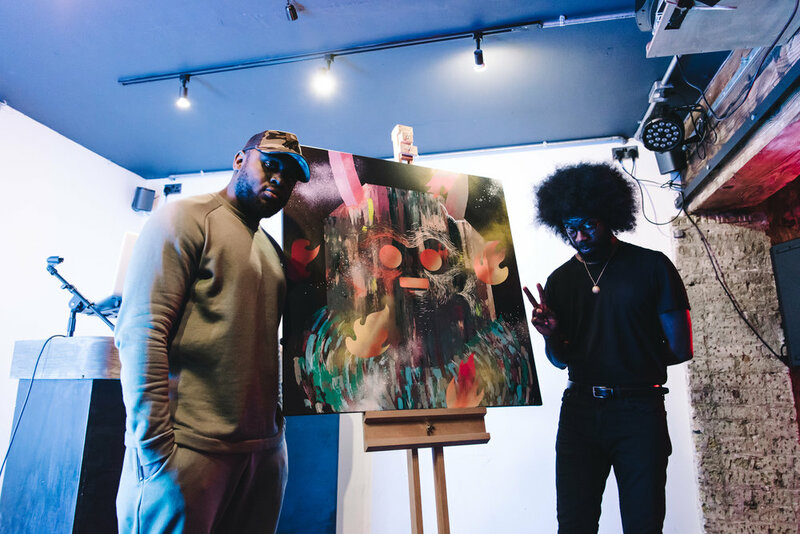 On Wednesday 5 April Ruff Sqwad Arts Foundation's very own Slix and Prince Rapid were present at the private view of ‘Lea River Park: a new landscape for London’, exhibition. You Can’t Handle The Booth is a open access music session in which young people can write, record, and engineer music. Ruff Sqwad Arts Foundation recently won an ArtsKickers Award on March 29th in the “Kickstarter” category.